Through the years, we have obtained many gold-standard certifications. This has allowed us to offer our clients not only the assurance of superior quality service and products, but also the ability to meet any standard required by their projects in Canada, the U.S. and Europe. In order to achieve our objectives that our service and products meet and exceed standards and contractual stipulations, we have obtained the ISO 9001:2015 certification, on which our quality control system is based. This system is managed with the collaboration of all of Envitech’s departments. The ISO 9001:2015 standard specifies requirements for a company’s quality management system. 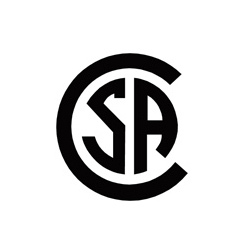 It allows the company to “demonstrate its ability to consistently provide products that meet customer and applicable statutory and regulatory requirements, and aims to enhance customer satisfaction through the effective application of the system, including processes for continual improvement of the system and the assurance of conformity to customer and applicable statutory and regulatory requirements”*. 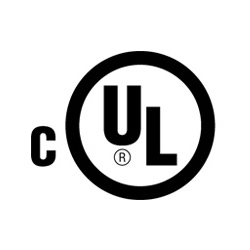 The cUL and UL certification marks mean that UL has tested representative product samples from Envitech and determined that they meet UL’s and CSA’s safety requirements. These requirements are essentially based on safety standards that are published and nationally recognized by UL and CSA. CLASS 3211 09 – (LR114791) Industrial control apparatus – Special industrial control assembly (customized). 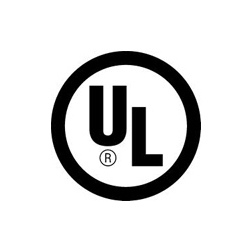 The CSA mark certifies that an authorized testing laboratory has evaluated a sample of Envitech’s product to determine that it meets applicable national or international safety or performance standards, including applicable requirements established or administered by the American National Standards Institute (ANSI), Underwriters Laboratories (UL), the Canadian Standards Association (CSA) and the National Sanitation Foundation International (NSF). Envitech Automation holds the expertise and qualifications required to affix the CE marking on its panels. 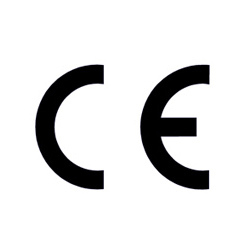 The CE marking indicates that a product has undergone testing that ensures it meets applicable European requirements. It also means that the product can be sold in the European Economic Area. In addition, this marking is mandatory for all products covered by one or several “New Approach” European guidelines and allows the product free movement within the European market. Envitech is registered with the Canadian government’s Controlled Goods Program (CGP). This national security program aims to protect controlled goods and prevent their unlawful access by unauthorized individuals. This means that Envitech has a safety plan approved by the Canadian government. We therefore have the ability to manufacture controls for clients such as the Canadian Armed Forces and its subcontractors, or any other client that needs this protection. We customize our services to suit your needs. ©2019 . All rights reserved. Website design by Vortex Solution.